Kick the cigarette habit once and for all! It’s not easy to quit smoking but it is possible! Though it will take willpower, commitment, support and sometimes professional help to quit smoking and remain tobacco free, you can get through this! The United States Surgeon General states that smokers who quit smoking have already taken the single most important step that they can towards improving the quality and length of their lives. Your best chance when it comes to quitting is to know what your options are and where to find help; we cover that information here. Most people find that a combination of varied efforts help them to refrain from using nicotine products despite their cravings or desire to do so. Motivation is a huge component for people trying to quit smoking so support groups and similar therapeutic methods have proven to be highly effective when it comes to helping people to quit. 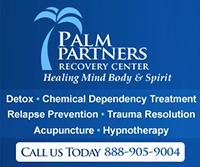 When trying to quit, just like people who suffer from various forms of substance abuse, you may find that you have to try more than one treatment before you find help that really works. Once you decide to quit smoking and you do take the steps to quit, staying smoke free is your greatest challenge. Think about how much work you put into quitting and do your best to stay on track. Quitting is hard to do but once you do stop, staying smoke free will gradually become a bit easier. 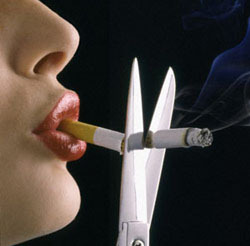 What Happens When You Quit Smoking - When you quit smoking, your body begins to repair itself almost immediately. Find out how this works and what happens when you quit smoking. What to Expect When You Quit Smoking - Learn what to expect when you quit smoking and your body begins to heal and recuperate from the harmful effects of nicotine.